It allows you to modify your patches on a key-by-key basis. Novation has marked ‘Avril 14th’ by upgrading its Bass Station II synth with a new mode developed from a concept by Richard D James aka Aphex Twin. The “AFX Mode”, which arrives as a free update as part of the synth’s new v4.14 firmware, allows owners to modify a Bass Station II patch on a key-by-key basis. “Letting his imagination run riot, James envisioned the decidedly radical notion of having a discrete set of synthesis parameters assigned to each note of Bass Station II, either variations on a ‘seed’ patch, or disparate sounds designed to constitute a chimeric whole,” Novation says. What this means for the user is the possibility to introduce subtle changes as you play up and down the keyboard, the ability to divide the keyboard into different zones that each plays a different sound and the power to create entire drum kits in a single preset. Other features added in the firmware update include fixed duration envelopes, extended sub-oscillator control, oscillator glide diverge and envelope retrigger count. Novation’s Bass Station II, released in 2013, is the successor to the UK company’s classic original, a dual oscillator monosynth released in 1993. If you don’t already own one, Novation’s Bass Station II can be picked up new for around $440/£350. 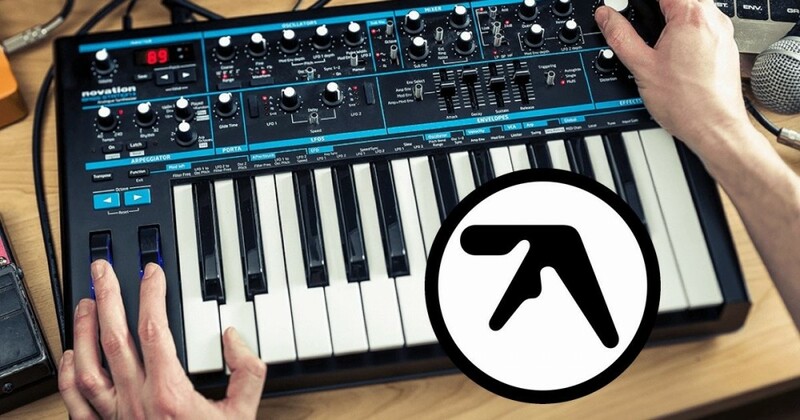 This isn’t the first time Aphex Twin has been consulted to design features for a synth – in 2016 he designed presets for Korg’s Monologue and advised on its microtuning feature.